What is behind the rising tide of hatred toward Jews? Yesterday, Iranian President Mahmoud Ahmadinejad said the goal of the international community should be to annihilate Israel. Addressing a crowd of ambassadors from Islamic countries gathered to celebrate Iran’s upcoming annual anti-Semitic “Jerusalem Day,” he said, “Anyone who loves freedom and justice must strive for the annihilation of the Zionist regime in order to pave the way for world justice and freedom.” Wiping Israel off the map and liberating Palestine, he proclaimed, would solve all the world’s problems. The idea that Israel is the problem and that a Middle East without Jews would solve everything is shockingly not limited to crazed Islamic dictators. 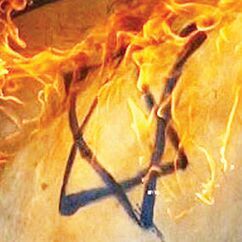 Hatred toward Jews, though often presented in a far subtler fashion, is nevertheless gaining alarming ground within the international community. This summer marks the 40th anniversary of the “Munich Massacre,” which wasn’t just a tragedy for Israel—it was a tragedy for the Olympic Games that sent shock waves around the world. So how does the International Olympic Committee (ioc) respond to repeated requests to honor the 11 Israeli victims who were slaughtered by Palestinians at the Munich Games? By not even allowing one minute of silence during London’s opening night ceremony. These are the Olympics, after all—they shouldn’t be politicized, says the ioc. And neither should Lebanon’s judo team be expected to train anywhere near Jews. After the Lebanese refused to work out near their Jewish counterparts last week, Olympic officials quickly set up partitions between the two training camps. Organizers then convinced Reuters that it was only a simple matter of gamesmanship. Screens have always been available to teams who were concerned about competitors spying on them, officials said. Even as Lebanese judo fighters refused to go near Jews in London, in Washington, White House Press Secretary Jay Carney avoided the subject of Jerusalem being the capital of Israel like it was a contagious disease. Carney’s slippery evasiveness follows a similarly ridiculous exchange in March between a reporter and a State Department spokesman who wouldn’t even acknowledge West Jerusalem as the capital of Israel. Think on that. Even if Israel—which has controlled all of Jerusalem for 45 years—pulled back to the 1949 armistice lines, it would still retain control of the west side of the city, which is where all of its government institutions are located: the Knesset, the Supreme Court, its government ministries, the prime minister’s and president’s residences, and so on. There are plenty of international bodies and news agencies that are quite happy to recognize Jerusalem as the capital of a future Palestinian state. The bbc even declaresEast Jerusalem as the capital of Palestine right now! Yet the United States can’t even acknowledge publicly that the west side of the city is Israel’s capital. In New York, last month, the United Nations Human Rights Council devoted an entire day to bashing Israel for its human rights violations in the Palestinian territories. With the slaughter in Syria now closing in on 20,000 victims, you would think the Human Rights Council would be overwhelmed with monitoring the atrocities occurring north of Israel’s border. In case you missed it—that was Syria urging the United Nations to speak out against Israel’s human rights violations! Meanwhile, the Assad regime continues slaughtering entire neighborhoods in its desperate attempt to hold on to power. How does an organization that is supposed to be one of the world’s chief defenders of human rights get such skewed priorities? One more example of deliberately bathing events in an anti-Israel light is the world’s portrayal of Palestinian “refugees”—people forced out of their homeland because of the 1948 Arab-Israeli conflict. In an article titled “How Many Refugees?” former top U.S. national security official Elliott Abrams reported on the latest release of statistics by the Palestinian Central Bureau of Statistics in June. You can bet the statisticians would not be so generous if they were counting Israeli refugees. Abrams goes on to state that the official definition of a refugee recognized by the UN for every other category of refugees does not include this stipulation for subsequent generations. “For every other category of refugees in the world, the 1951 UN Convention on the status of refugees clearly applies to the refugee only and not subsequent generations,” he wrote. Of all the refugees in the world recognized by the UN, only the Palestinian refugees are counted in this way. Why? Because the more Palestinian refugees there are, the worse Israel looks. Once again, we see the double standard at play. Where is this Jew-hating spirit coming from? Believe it or not, Satan actually exerts a great influence over the affairs of this world and many, unknowingly, are acting as his pawns to do his bidding. Revelation 12:9 says he is able to deceive the whole world. This spirit of wanting to rid this world of an entire race of people comes straight from the devil. Satan has an intense hatred for all mankind and a special hatred for the biblical nation of Judah—and he spreads it like a disease. This kind of bitter, resentful hate is a contagion Satan is using to direct a great many people in the world today. The truly awesome purpose God has for the Jews—and the rest of Israel too—is something the god of this world absolutely hates. God is not a respecter of persons—He doesn’t view Israel as a people better than others. Actually, from the beginning God called Israel out to be a model nation—a job it failed to do. Today, He has chosen His Church to fulfill the same role. The Church today, which is comprised of members of every race, is defined as spiritual Israel in the Bible. This is the true, yet astonishing, reason behind the intense hate for Israel today. The devil hates God’s plan and will do all he can to pervert it and destroy it. For much more on this subject, be sure to review Chapter 8 in our booklet The Key of David—we’ll send you a free copy upon request.